Its been a while since our last entry into our ‘Electronic Artist of the Week‘ series, largely due to the fact that recently no one artist has consistently caught our attention regularly enough to persuade us to include them. This is not to say our list is the definitive guide of the latest and greatest, however over our 23 entries its been pleasing to see that our faith has generally been well placed with previous featured artists such as Maxxi Soundsystem, TEED, Disclosure, Boddika, Daniel Avery, Dusky, Midland, Huxley, George Fitzgerald, Julio Bashmore among others all seeing significant development in their careers. Next to enter this illustrious list is the London born producer ‘Tourist‘, who’s music has been catching our ear for sometime now, however it wasnt until the recent preview of the lead single ‘Together’ from his forthcoming Patterns EP that we felt compelled to write some illuminating words. Earlier this month we commented on Twitter ‘could this year get any better for Disclosure‘ since that comment they have hooked up with Nile Rodgers whilst their affiliated label ‘Method Records‘ launched with Friend Within’s killer ‘Renegade Master’ refix, followed by Luxury ‘J.A.W.S’ racking up almost 300,000 plays in a week and now they’ve added Tourist to their roster with his biggest track to date ‘Together’. As yet the rest of the EP is not available to preview, however on the strength of ‘Together’ alone, and with the unstoppable Disclosure backing the release, we cannot see anything but a rapid rise to notoriety for this talented young producer. Tourist is a song writer of considerable depth who’s melodic structures are anything but conventional, with a passion for field recordings and analog wizardry he is able to create incisive interesting beats that are both immediate and long lasting. 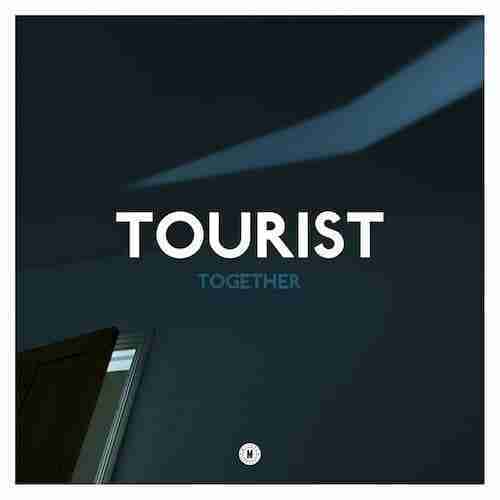 Previous work was perhaps more Four Tet of old in composition, ‘Tourist EP & Tonight EP‘, however there was always a hint of a yearning desire for the dance floor, which ‘Together’ firmly grasp’s with both hands. Infectious vocal loops, soaring synths, grooving bass lines effortlessly combine to create a hugely enjoyable and highly contagious dancefloor filler. Highly recommended.